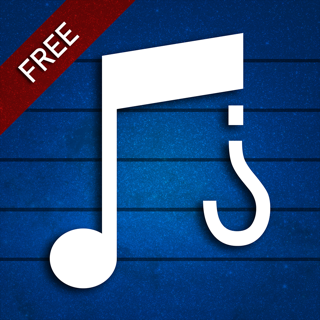 Listening is the most important skill in music, and this app will help you to listen better. 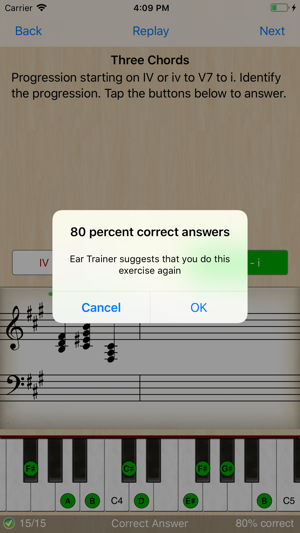 Ear Trainer is an educational tool designed for musicians, music students and anyone interested in improving ones musical ear. It has over 260 individual exercises that are conveniently placed into nine different areas of study. It is also possible to create custom exercises so that you can practice exactly what you need. No need to be an expert, Ear Trainer is suitable for all users from beginner to very advanced. 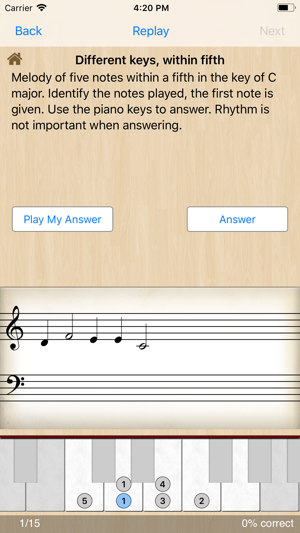 No matter what level your musical hearing skills are, Ear Trainer will help to hone them. As you work through the exercises, statistics are collected so that you can see your progress. The questions in the exercises are randomly generated so you can do them over and over again as many times as you like to continue to hone your skills. Custom exercises can be shared with friends and class mates through Email, AirDrop and iMessage. 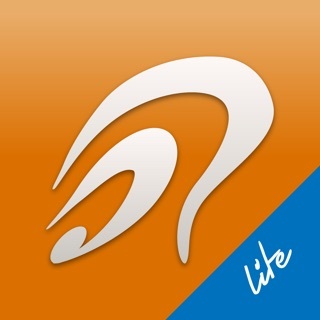 This is the best Ear Trainer of all I tried in App Store, everything works just perfectly. If you are interested in improving your musical hearing you must have it. I have been using this app every day for just about a year now and the result are simply amazing. 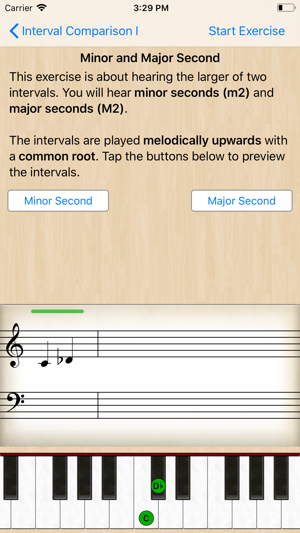 **** I'm in my second third semester as a music major and I have to say, this is a great app for any music major, or anyone looking for ear training. I like that I'm able to switch between different instruments, it makes hearing the notes on the instrument you're use to a bit easier for me. 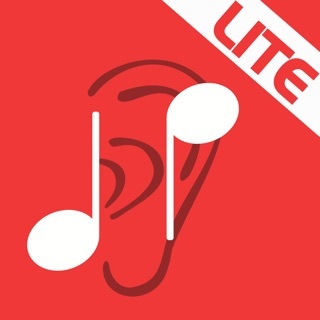 J'ai testé des nombreux programmes d'entraînement et de reconnaissance musicale sur iPhone et celui-ci est de loin le plus complet et le plus intéressant. ***** Complimenti! Grande versatilità e facilità d'uso. Ottima per principianti, ma anche per chi vuole approfondire la conoscenza dell'armonia. La uso sempre con i miei allievi. 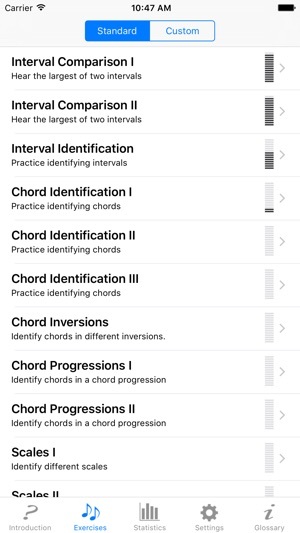 I'm critical when it comes to music training apps. In fairness, I've only been using this one for a week or two, but so far I'm quite pleased. 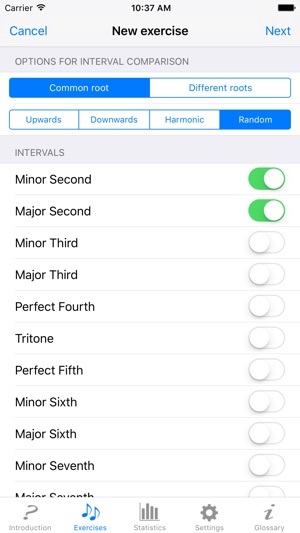 I use this with headphones and the quality of the piano sound that generates the tones is quite good (I've tried some apps where the tone is so unpleasant that I don't want to use it). This app is pretty simple and straightforward. Easy to use. Customizable. I like it. Absolutely with the price and your time! Real results! The method, scope, and detail included in this product make it well worth the price. The results I've achieved in the last 5 weeks (investing 1.5 hours/day, 5 days/week) far exceed my expectations and have given me significantly greater confidence and proficiency in my improvisation and songwriting.